The Royal Mail Ship Segwun is the oldest operating steamship in North America, a Muskoka icon, and one of Ontario's best-known tourist attractions. Built as a paddlewheeler in 1887, the RMS Segwun saw its initial career suspended in the 1950s when it ceased operating. Fortunately, the ship began a new life in 1974 when it was lovingly restored and magnificent sightseeing cruises were offered. Those who board the vessel step back in time to a romantic era in cottage country's history when steamboats were vital to settlement, tourism, and economic development. 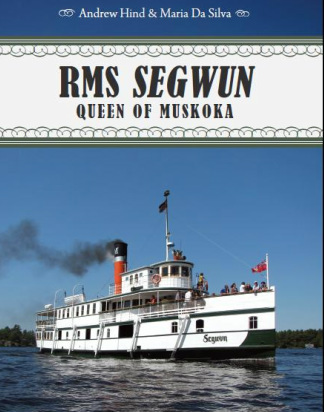 In this book the history of this celebrated Canadian ship and its sister vessels that made up the Muskoka Navigation Company fleet is thoughtfully explored, as is the long and significant past of steamboating on the Muskoka lakes. Historical and contemporary photographs complement the story of this "Queen of Muskoka" in recognition of its 125th anniversary.